Investigative journalism about environmental crises in the Global South has not, until recently, been produced for the people most impacted by those crises. Research about climate change and environmental degradation is often disseminated by scientific journals or overshadowed by other more immediate news of the hour by media outlets, and primarily for audiences in the industrialized world. This is something that the Gecko Project, an investigative reporting initiative from the London-based investigative research nonprofit Earthsight, in collaboration with the environmental news site Mongabay, is working to change. 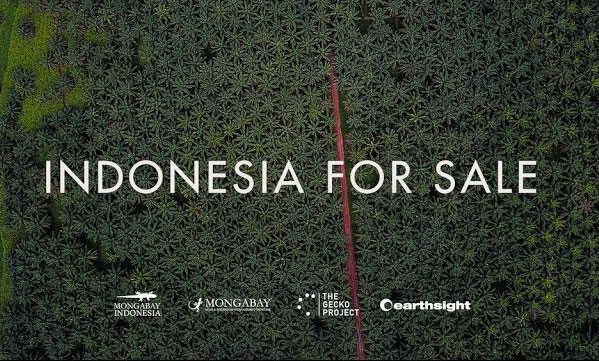 Reporting on the worsening environmental and social crisis in Indonesia, the Gecko Project’s first series, called “Indonesia for Sale,” exposes corruption, deforestation, wealth inequality, and land-rights conflicts across the nation of over 17,000 equatorial islands. Meant for local as well as international audiences, the series will be released in Indonesian and English and promoted over Facebook, Instagram, and WhatsApp, specifically targeting readers in the districts that are featured in the investigation. The places where these stories take place often face barriers to information about environmental issues that impact their lives and livelihoods. In Indonesia and other places vulnerable to environmental injustice, some of the local media outlets are controlled or influenced by private interests, like plantation companies, that contribute to environmental degradation, deepening the pervasive “media black spot” around environmental issues. Additionally, although Internet penetration is rapidly increasing throughout Indonesia, only about 50 percent of people have regular access. This means that people in rural areas, where connection lags and slow speeds make viewing some sites difficult, lose out. To combat poor connections, Mongabay-Indonesia posts low-resolution pictures that load quickly. The Gecko Project is part of the emerging field of environmental journalism that aims to bring environmental news to broad audiences worldwide, particularly to those who live in the areas that are the subject of the reporting. All too often, the audience for studies on environmental degradation are scholars or readers who must sift through other news to find environmental coverage, instead of the people whose daily lives are already affected by the degradation. Unless there is a high-profile climate event, environmental news is easily overlooked by those who have the luxury of not personally experiencing its impact. Media in the Global North often portrays climate change as happening far away and depictions are persistently negative and lack solutions, making the problem seem out of people’s hands so they become uninterested. This leaves the people who need only look out their front door to see that the climate is changing without enough information or representation. Before stepping down as editor-in-chief of the Guardian, Alan Rusbridger said he felt the media was failing to meet the challenge of covering the climate crisis. His response was to launch a podcast to change the narrative around climate change. The owners of the Dakota Access Pipeline filed suit against Greenpeace and others for alleged “ecoterrorist” activities related to the #NoDAPL protests. In the context of “free speech” arguments and the fight for public space, the greater capital and power possessed by Energy Transfer Partners and other large firms put nonprofits and advocacy groups in a position of having to fight for their right to speak. Here, the risks taken by the #NoDAPL movement proved to be an asset.